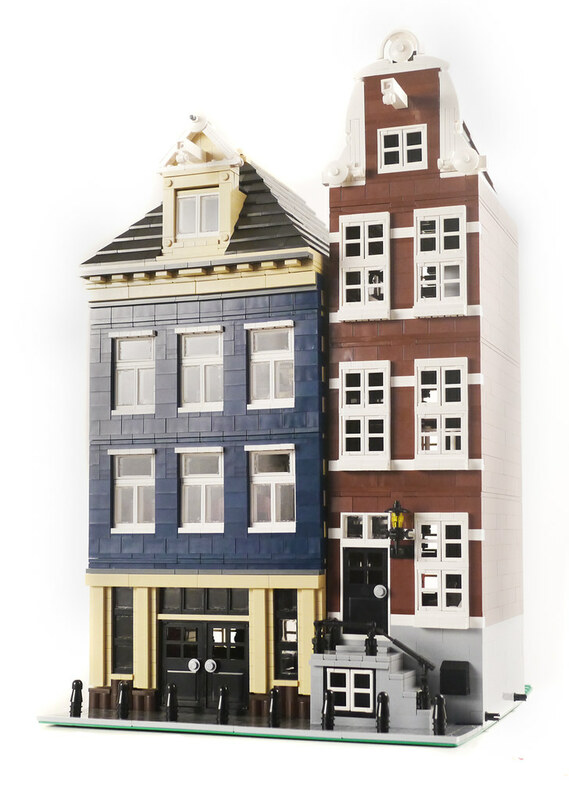 Brick Town Talk: Slivers of Water - LEGO Town, Architecture, Building Tips, Inspiration Ideas, and more! Grachtengordel, Amsterdam - (BTT) Venice might try to hog all the attention when it comes to waterlogged European cities, but with over 100 kilometers of canals circling the city, Amsterdam is no slouch (plus it has the advantage of not currently sinking into the sea). Canal houses like the beautiful examples above have always been high on demand and higher on style - after all, who wouldn't want to say they own a place right on the water, even if that water is narrow enough to spit across.